Make boho porcelain ornaments or gift a bowl to someone special this year. We have Christmas workshops to suit everyone! 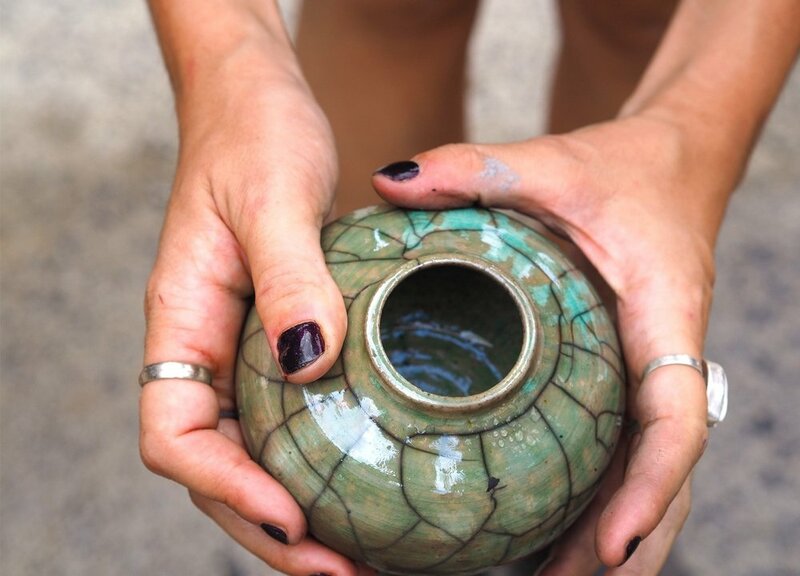 Learn how to make beautiful, sustainable pottery with a wheel throwing or hand building workshop. Our classes are suitable for everyone, from absolute beginners to experienced potters. Plus! all our workshop students receive a free cork tote to take your pottery home in.